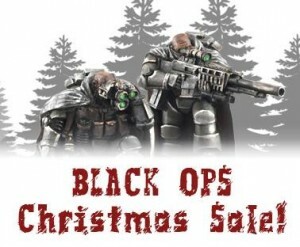 Anvil Industry is running their Black Ops Christmas Sale now over in their webshop. We are holding a Festive BLACK OPS Sale - SAVE 20% until 26 December! We are also working hard on the AFTERLIFE Kickstarter and we hope to have some updates on that in a few days time.